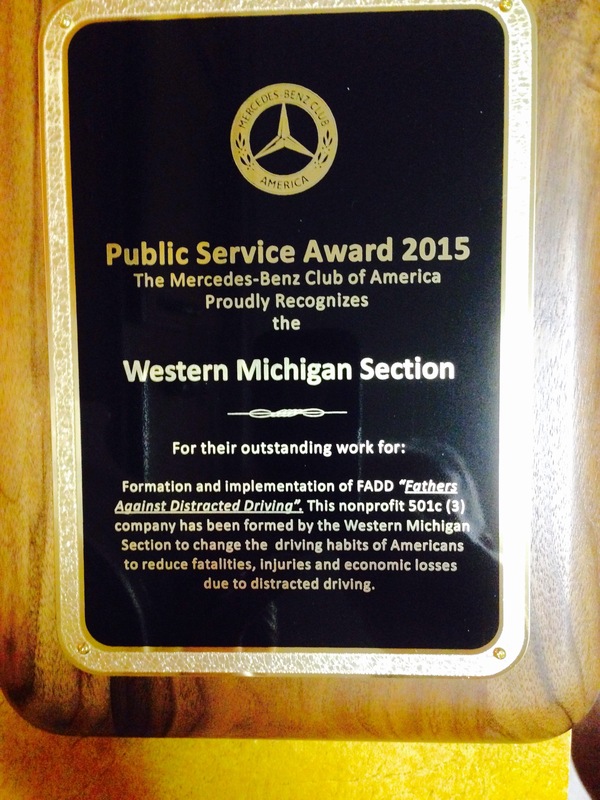 Our donor,-the West Michigan Section of the Mercedes Benz Club of America recently received this award for their support of FADD. Recently our founder was recognized by Pfizer as an retiree/ employee who’s making a difference. Congratulations Marv! Your donation will help us to continue to spread our message.